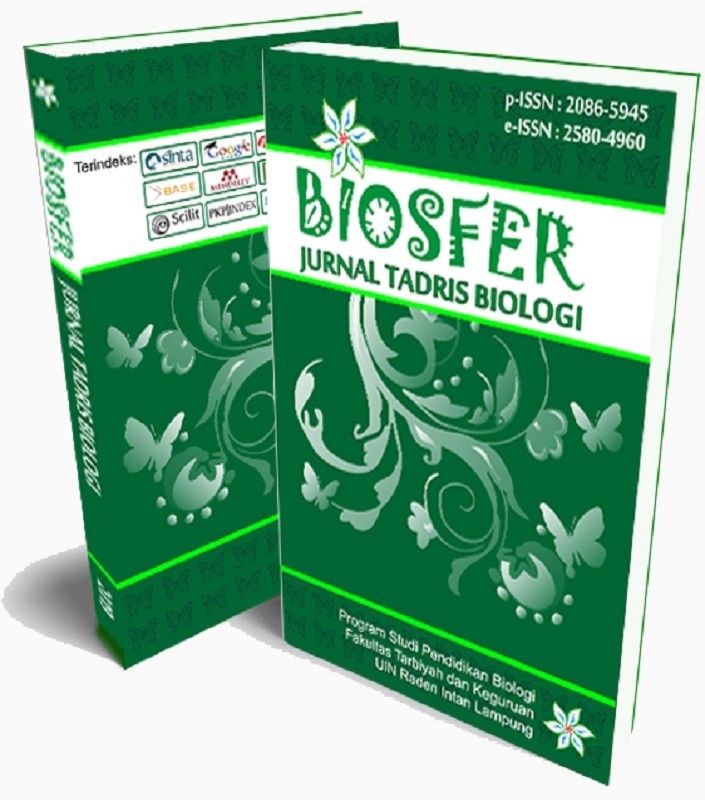 Biosfer: Jurnal Tadris Biologi has been published since 2010 and started from 2017, has been published online. Biosfer: Jurnal Tadris Biologi are published twice a year, January-June and July-December periods. This publication is available online through open access. Biosfer: Jurnal Tadris Biologi has been indexed in: Google Scholar; Moraref; doi Crossref; Garuda: Garba Rujukan Digital; Mendeley; ROAD; Dimensions.